Great so far, door to be installed tomorrow. Price was fair based on my research, warranty was great based on the amount of time that I plan to stay in my home. Tech was knowledgeable and very personable. Had to have second warranty adjustment on my new garage door that Precision installed last summer. Your prompt response is appreciated and your Technician was very knowledgeable on repairing and correcting my door problem. Thank you- we appreciate your business! very pleased with Dan, and the service he provided. He did not try to push us, or try to convince us to replace the door. He assessed the situation and repaired the door in about an hour. Would recommend !! Thank you for choosing Precision! We appreciate your business and the recommendation! Joe arrived on time and was very courteous. He fixed our problem with excellence and in record time. I highly recommend Precision Door Service. Thank you for the "5 Star" recommendation! Great service, on time, friendly!!! Garage door repair service - Service Tech Jeremy arrived promptly, explained what needed to be done and provided a reasonable price. Problem is completely resolved at this time. Very professional, friendly and did not try to sell me something that I did not need. I highly recommend and would use Precision again if needed. Thank you for sharing your "Precision' experience. We appreciate your business and the recommendation! Salesman was knowledgeable & very businesslike. He represented His company & products well. The installer was prompt & obviously experienced. He disassembled the old door, installed the new door, tested everything, removed all old materials & cleaned both the job site & the newly installed door. Excellent install that works well & looks good! Thank you for choosing Precision and for sharing your experience! Enjoy the new doors! Had a new spring installed as well as new cables, bearings, and rollers on 9/17/18. The technician was friendly and professional and did an excellent job and was proud to show me his work. I had a call back today 10/18/18 with another technician who was also very friendly and professional. I would highly recommend Precision Garage Door to everyone. Thank you for sharing your "Precision" experience-we appreciate your business and the recommendation! Percision was here early and did a great job. My garage door is probably 15 to 20 years old and has been repaired before for the same problem. Billy didn't just fix it and test it he went back several times to tweak until he got it just where he wanted it. The door is much quieter and smoother closing. If you need your garage door fixed I would call Percision! Thank you for sharing your review and for recommending us to others. Thank you-we appreciate your business and recommendation! It's a pleasure to work with Precision. My issue was handled with total professionalism from the moment I placed the service call to the time that the repair was completed. Prompt, courteous, competent. I couldn't ask for more. Very good! Thank you for sharing your "Precision" experience for others to read. We appreciate your business. Roy was fantastic! Showed up on time and was very professional. He advised installing a new garage door opener as our unit was 14 yrs. old. There was no high pressure sales, just an easy going personality offering a solid suggestion to which I agreed. He promptly went to work and had the new unit installed, operational with instructions and coded in no time. I was very pleased with his work as I was in 2015 when your company serviced our garage doors. I will definitely call upon you again if and when the other door fails. Thanks. Thank you allowing us to service your garage door needs again. We value your business! Roy came out on time, inspected my system, made some adjustments, and presented options for addressing a problem I'd avoided for years. He is friendly but professional. I'm confident I've made the right choice. Extremely satisfied with the entire process, from the initial after hours phone call with your operator thru the installation process. 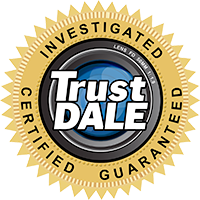 Our technician Albert was knowledgeable and professional about his work. If you face any repairs ask for him, you be glad you did !!!. Thank you. That is great! Thank you for choosing Precision and for the recommendation! Jeremiah (sp ?) did a great job of repairing my garage door opener. He was courteous, friendly and very competent. On time and successful. Thank you. Thank you for choosing Precision and for sharing your experience! I am not happy. I called to begin with to get a quote about prices and you were $90.00 less than the company we had used for years. It was installed on Thursday and on Friday, the door would not go down. I called on Saturday only to find out I can't get service till next Thursday. When I went outside to check on the light on it that won't turn off, it was very hot so I unplugged the unit. I would like someone here sooner than 5 days from now. We were able to change the schedule around to make it possible for one of our technician's to take care of this customer by Tuesday, rather than waiting until after to July 4th holiday. She called to express her gratitude for us being able to do that and reported the thoroughness of the technician who came to her home to resolve the issue. We do our best to provide excellent and prompt service and appreciate the business all our customer's entrust to us. Excellent Service!!! I would not trust my garage door to any other company. I can count on Precision to do a great job every time. Albert was the tech that came by my home to fix the garage door opening and he is fantastic. Kudos!! Wow! Thank you for choosing Precision to take care of your garage door needs! Prompt! Diligent! Articulate and clear when explaining what needed to be done to repair my existing garage door. Didn't try to sell me a new door just to be selling something. Fast work. Roy was my service technician. I definitely recommend !! *Precision: My door runs so much smoother and more quietly. So glad I had this work done. Great to hear you are pleased with Roy and the service he provided you. Thank you for choosing and recommending Precision - we appreciate it! We had a great experience using Precision. Ryan was professional, on-time, honest, and he fixed our issue very quickly. We'd highly suggest this company to anyone else who needs garage door repairs, and we will certainly be using this service in the future! Thank you for choosing Precision and for taking time to post your review. We certainly appreciate the recommendation! I called to discuss the options for repairing or replacing an old garage door opener that had stopped working. Precision did everything they said from scheduling that day, calling prior to arrival to Josh being knowledgeable and prepared to explain options and answer questions. The over 20 year old garage door opener couldn't be repaired, so I had to replace it. I received an excellent price, great guarantee and he installed it while he was here. I received all paperwork regarding the guarantee specifics later the same day by email. I am very satisfied. Thank you for choosing Precision and sharing your experience in the review! Enjoy your new garage door! Awesome service from beginning to end in the whole process. We like the professionalism of the company employees. Their installers were very professional and communicative. On top of that, the product quality is very good. Thanks a bunch! Thank you! We appreciate your business and that you took time to share your experience. Great experience. There is reason they get 5 stars - they give 5 stars customer service. They helped me through the whole process and I am very happy with my garage door. I have my garage door company for life! Wow! Thank you so much for sharing! We certainly value your business and are grateful that you chose Precision! Nice work. He explained everything and did a good job. Josh showed up as promised. He worked quickly and took care of my issues. His price was reasonable and fair. And it all works!! Thank you for posting the review! We appreciate your business. Chase was very courteous and professional. He explained everything and answered all of my questions. I had used Precision previously in South Carolina and they were the first company I called to get my garage door repaired. I am very satisfied with their response and service. The technician was very speedy and knowledgable in work. They arrived on time with same day appointment. Kudos to your team and the technician Chase 3 Desilvia. Chase did a great job and was very informative about what was going on with my garage door opener. Service was timely, completed quickly and professional.